Are you over the age of 25? If you are, did you know that your bones have already past their prime? Fix them fast with Protein Powder! Bones, being living tissue, are constantly changing. From birth until young adulthood, bones are developing and strengthening reaching their maximum density in our early 20s – called peak bone mass. That’s right … if you are over 25 your bones are past their peak and this means that they are becoming porous, brittle and more prone to fracture. Around the world, 1 in 3 women and 1 in 5 men are at risk of an osteoporotic fracture. In fact, worldwide, osteoporosis (the disease of having excessive bone loss) causes more than 8.9 million fractures annually, resulting in an osteoporotic fracture every 3 seconds. While it is still more prevalent a condition with women as many as 2 million American men already have osteoporosis and twelve million men are at risk, and may have early signs of bone loss and low bone density, called osteopenia. This means we are talking to you! If your age is greater than 25 (yes, we are definitely including ourselves here) and you don’t want to fall victim to an osteoporotic and fractured future then you should start paying attention right away. Studies show that protein powder delivers numerous bone building health benefits and should be seriously considered a mandatory part of your daily bone-building regimen. Here are 3 essential ways that protein powder will help keep your bones strong. Whether you are sitting behind a desk most of the day or are training for a triathlon studies show that there is a high likelihood that you are simply not getting enough protein – especially if you are over 30. That is when a process called sarcopenia begins to occur, which is a gradual loss of muscle mass as one ages. Why is it so important to keep your muscles toned as you age? It’s because sarcopenia, or muscle loss, has been credited with a causing a slew of health problems, including low bone mineral density and fractures. Studies have shown that muscle quality is critical for balance control in elderly individuals. People with osteoporosis often have muscle weakness leading to fractures and poor balance, or even falls. Therefore, improving muscle quality and strengthening weak muscles are essential elements for the prevention of falls and fractures in older adults with osteoporosis. Your body requires protein to build muscles. Recently, a scientific team from the Bone Metabolism Laboratory at the Jean Mayer USDA Human Nutrition Research Center on Aging at Tufts University proved that protein could actually help bone health. They reported that men and women who increased their dietary protein by an average of 58 grams of protein a day had 25 percent higher levels of bone growth factor and lower levels of a marker of bone resorption (bone loss) compared with controls. So why not give your body the extra protein it thirsts for by drinking a great tasting quality protein shake like our IN.POWER organic protein powders? A quality protein powder delivers more than just essential protein to help build your strong and supportive muscles; it also delivers another class of essential micronutrients called amino acids, which act as building blocks of protein. There are 22 standard amino acids, nine of which are essential amino acids: (histidine, isoleucine, leucine, lysine, methionine, phenylalanine, threonine, tryptophan, and valine) and eight conditionally essential amino acids: (arginine, cysteine, glutamine, tyrosine, glycine, ornithine, proline and serine). They are called essential or conditionally essential amino acids because for the first nine, and under certain conditions for the second eight, our bodies cannot manufacture them, so we need to get a sufficient amount of each one, every day, from the food we eat or supplements we take. Just like we need to get a sufficient amount of each essential vitamin, mineral, and essential fatty acid daily if we are going to achieve optimal health. Failure to get enough of even one of the essential amino acids can have serious health implications. Protein powder has been shown to have a multitude of incredible scientifically proven health benefits such lowered stress and improved mood, protection against cognitive decline, weight loss, decreased risk of cardiovascular disease, lowered risk of type 2 diabetes, increased lean body mass, boosted beneficial gut bacteria, and even inhibited growth of cancer cells [1,2,3,4,5,6,7,8,9,10,11,12]. While all of those health benefits have been widely touted, you might not have heard about how ESSENTIAL your amino acids are for bone health. Arginine has also been shown to stimulate growth hormone (GH) secretion thereby promoting production of insulin-like growth factor (IGF–1)  which are both fundamental in skeletal growth and bone healththroughout life. Arginine, lysine, and glycine have been associated with an improvement in collagen formation or synthesis. [16,17] Bone mineral is laid down over a protein matrix called collagen. Collagen is abundant in the connective tissue of cartilage and bone. Collagen makes up about 30% of our bones, serving as a support structure for mineral deposits and giving bone its resilience. So, these three amino acids are playing a huge role in both your bone formation and structure. Furthermore, supplementation with L‐arginine (2 g/day) for 2 years increased Bone Mineral Density (BMD) by 11.6% in 150 osteoporotic postmenopausal women . And greater amino acid intake equals greater bone density. A study published in the Journal of Bone and Mineral Research proved that higher intakes of six of the bone‐protective amino acids were significantly associated with higher Bone Mineral Density (BMD) at the spine and forearm. This is a great reason to supplement daily with a high quality protein powder like IN.POWER. Milk it really does your body (& your bones) good! Actually, it is a natural bioactive glycoprotein found in milk, called lactoferrin, that science has determined is excellent for bone health. [21,22,23,24,25,26,27,28,29,30,31,32,33,34,35,36] Lactoferrin works in two distinct ways. Bone building benefit #1: Lactoferrin reduces inflammation which causes a reduction in the in the destructive actions of the osteoclasts, the cells responsible for bone loss that lead to osteoporosis. Bone building benefit #2: New studies suggest [37,38,39] that lactoferrin also enhances bone-building activity in bones. Lactoferrin's anabolic (building) effect on bone stems from its’ ability to increase the number of osteoblasts capable of creating (synthesizing) new bone both through stimulation of proliferation and inhibition of cell death. It also enhances the ability of the osteoblasts to synthesize and mineralize bone matrix. Lactoferrin is one of those few molecules that has been proven to effect both the osteoclasts and the osteoblasts in the remodeling activity of bone. Drinking a whey protein shake (like IN.POWER whey) is great way to increase intake of lactoferrin. 1. Choose a Full Spectrum of Amino Acids & Lactoferrin! If the goal of taking your protein shake is to increase the levels of all of your essential amino acids (in order to build stronger supportive muscles and deliver the amino acids proven to increase bone mass) then it is imperative you choose a protein powder that contains all of the amino acids. While both whey (like our ultra-pure IN.POWER Organic whey protein) and soy protein powders contain all of the essential amino acids we do not recommend soy. This is because soy, the most common plant-based protein, is likely GMO, is goitrogenic (reduces iodine intake), and mimics the female hormone estrogen. These are just a few of the many reasons soy protein is not recommended by most health professionals. And because soy is out, it is best for vegans and vegetarians who prefer not to consume whey, or for individual who cannot take whey to use a pea, rice, or hemp protein, or better yet, our IN.POWER organic plant protein, which combines organic pea and rice proteins to create a complete amino acid profile. And if you are looking to consume lactoferrin, you should know that you won’t find this beneficial glycoprotein in all protein powders. Because it comes from milk you obviously will not find lactoferrin in vegan proteins. Our IN.POWER Organic whey protein does contain this beneficial bone builder. Look for certified organic, non-GMO, and grass-fed (whey) options. Find environmentally sustainable products, grown/raised in the USA that have minimal processing to protect the proteins. Look for products that are third party tested for heavy metals. Many recent studies testing protein powders have uncovered potentially dangerous levels of heavy metals, exceeding the limits proposed safe by United States Pharmacopeia (USP). Daily use can allow these heavy metals to accumulate in the body over time, making it very important to choose a protein, like IN.POWER, which tests for these dangerous toxins. 4. Choose Unsweetened & Unflavored Products! You can add whatever fillers and flavoring you want once you are home, but why be charged for them in your protein powders? Flavorings and fillers are cheap additions that protein powder providers add to lower their cost and make more money! 5. Choose Concentrates Over Isolates! Many experts believe protein isolates are inferior to concentrates in several ways. 1st: Protein isolates go through extra processing, which often use acids and/or heat to strip the protein away from its nutritional cofactors, and this creates a less natural product. 2nd: Some experts believe that your body has a harder time assimilating proteins in their isolated form. 3rd: By removing the fat from the whey, protein isolates have also eliminated many key components with beneficial immunological properties, such as phospholipids, and phosphatidylserine. 4th: All of the igG immunoglobulins in whey, which are an excellent source of glutamine and cysteine, are also bound to the naturally occurring fat. The bottom line is, our IN.POWER whey and plant concentrates are superior to whey and plant isolates in their ability to enhance overall health. Bone health is important, and the good news it that the same high quality protein powder that will help you repair and build strong muscles will also help you build and maintain strong bones. 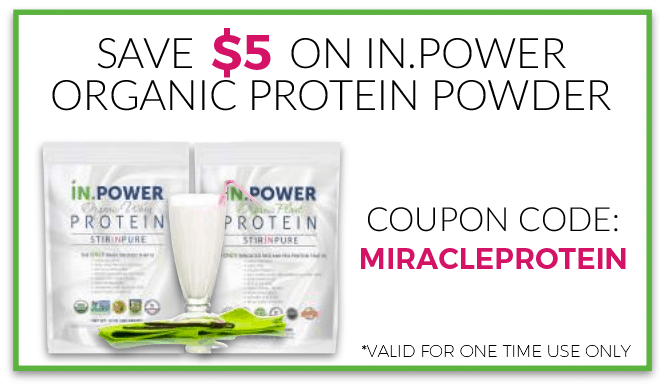 Do your body a favor – grab a bag of IN.POWER organic whey or plant protein today! R. Markus, B. Oliver, G. E. Panhuysen et al., “The Bovine Protein Alpha- Lactalbumin Increases the Plasma Ratio of Tryptophan to the Other Large Neutral Amino Acids, and in Vulnerable Subjects Raises Brain Serotonin Activity, Reduces Cortisol Concentration, and Improves Mood under Stress,” American Journal of Clinical Nutrition 71, no. 6 (June 2000): 1536–44. R. Markus, B. Oliver, E. H. de Haan, et al.,.”Whey Protein Rich in Alpha- Lactalbumin Increases the Ratio of Plasma Tryptophan to the Sum of the Other Large Neutral Amino Acids and Improves Cognitive Performance in Stress- Vulnerable Subjects,” American Journal of Clinical Nutrition 75, no. 6 (June 2002):1051–56. A. Camfield et al., “Dairy Constituents and Neurocognitive Health in Ageing,” British Journal of Nutrition 106, no. 2 (July 2011):159-74.
files.cms-plus.com/Publications/CardioHealth_English.pdf. Accessed June 14, 2013. Zhang and A. C. Beynen, “Lowering Effect of Dietary Milk-Whey Protein v. Casein on Plasma and Liver Cholesterol Concentrations in Rats,” British Journal of Nutrition 70, no. 1 (July 1993):139–46. G. Shertzer et al., “Dietary Whey Protein Lowers the Risk for Metabolic Disease in Mice Fed a High-Fat Diet,” Journal of Nutrition 141, no. 4 (April 1, 2011): 582–87. Lan-Pidhainy and T. M. Wolever, “The Hypoglycemic Effect of Fat and Protein Is Not Attenuated by Insulin Resistance,” American Journal of Clinical Nutrition 91. no. 1 (January 2010): 98–105. Matsumoto et al., New Biological Function of Bovine Alpha-Lactalbumin: Protective Effect Against Ethanol- and Stress-Induced Gastric Mucosal Injury in Rats,” Bioscience Biotechnology and Biochemistry 65, no. 5 (May 2001):1104–11. W. Parodi, “A Role for Milk Proteins and Their Peptides in Cancer Prevention,” Current Pharmaceutical Design 13, no. 8 (2007):813–28. A. Mierlo et al., “Weight Management Using a Meal Replacement Strategy: Meta and Pooling Analysis from Six Studies,” International Journal of Obesity and Related Metabolic Disorders 27, no. 5 (May 2003): 537–49. Liu Z, Jeppesen PB, Gregersen S, Chen X, Hermansen K. Dose‐ and glucose‐dependent effects of amino acids on insulin secretion from isolated mouse islets and clonal INS‐1E beta‐cells. Rev Diabet Stud.2008; 5(4):232–44. Yang J, Zhang X, Wang W, Liu J. Insulin stimulates osteoblast proliferation and differentiation through ERK and PI3K in MG‐63 cells. Cell Biochem Funct. 2010; 28(4):334–41. Chevalley T, Rizzoli R, Manen D, Caverzasio J, Bonjour JP. Arginine increases insulin‐like growth factor‐I production and collagen synthesis in osteoblast‐like cells. Bone. 1998; 23(2):103–9. Fini M, Torricelli P, Giavaresi G, Carpi A, Nicolini A, Giardino R. Effect of L‐lysine and L‐arginine on primary osteoblast cultures from normal and osteopenic rats. Biomed Pharmacother. 2001; 55(4):213–20. Melendez‐Hevia E, De Paz‐Lugo P, Cornish‐Bowden A, Cardenas ML. A weak link in metabolism: the metabolic capacity for glycine biosynthesis does not satisfy the need for collagen synthesis. J Biosci. 2009;34(6):853–72. Fujita S, Volpi E. Amino acids and muscle loss with aging. J Nutr. 2006; 136(1 Suppl):277S–80S. Goel S, Kumar G, Singh A, Agarwal N, Singh T, Manjhi B. Role of L‐arginine in the treatment of osteoporosis. Int J Orthop. 2014; 1(4):177–80. Blais, A., Malet, A., Mikogami, T., et al. Oral bovine lactoferrin improves bone status of ovariectomized mice. Am J Physiol Endocrinol Metab2009:296(6):E1281-8. Bharadwaj, S., Naidu, A.G., Betageri, G.V., et al. Milk ribonuclease-eriched lactoferrin induces positive effects on bone turnover markers in postmenopausal women. Osteoporos Int2009; Sept 20(9):1603-11. Guo HY, Jiang L, Ibrahim SA, et al. Orally administered lactoferrin preserves bone mass and microarchitecture in ovariectomized rats J Nutr. 2009;139(5):958–6. Cornish J, Callon KE, Naot D, et al. Lactoferrin is a potent regulator of bone cell activity and increases bone formation in vivo.Endocrinology. 2004;145(9):4366–74. Lorget F, Clough J,Oliveira M, Daury MC, Sabokbar A,Offord E. Lactoferrin reduces invitro osteoclast differentiation and resorbing activity. Biochem Biophys Res Commun. 2002;296(2):261–6. Takayama Y, Mizumachi K. Effect of bovine lactoferrin on extracellular matrix calciﬁcation by human osteoblast‐like cells. BiosciBiotechnol Biochem. 2008;72(1):226–30. Takayama Y, Mizumachi K. Effect of lactoferrin‐embedded collagen membrane on osteogenic differentiation of human osteoblast‐like cells. J Biosci Bioeng. 2009;107(2):191–5. Yagi M, Suzuki N, Takayama T, et al. Effects of lactoferrin on the differentiation of pluripotent mesenchymal cells. Cell Biol Int.2009;33(3):283–9. Grey A, Banovic T, Zhu Q, et al. The low‐density lipoprotein receptor‐ related protein1is a mitogenic receptor for lactoferrin inosteoblastic cells. Mol Endocrinol. 2004;18(9):2268–78. Grey A, Zhu Q, Watson M, Callon K, Cornish J. Lactoferrin potently inhibits osteoblast apoptosis,viaanLRP1‐independent pathway.Mol Cell Endocrinol.2006;251(1–2):96–102. Grey A, Zhu Q, Watson M, Callon K, Cornish J. Lactoferrin potently inhibitsosteoblastapoptosis,viaanLRP1‐independent pathway. Mol Cell Endocrinol.2006;251(1–2):96–102. Naot D, Chhana A, Matthews BG, et al. Molecular mechanisms involved in hemitogenic effect of lactoferrin in osteoblasts.Bone. 2011;49(2):217–24. Hou, J.M., Chen, E.Yl, Wei, S.C., et al. Lactoferrin inhibits apoptosis through insulin-like growth factor 1 in primary rat osteoblasts. Acta Pharmacol Sin2014;35(4):523-30. Onubushi, T., Kawazoe, A., Miyauchi, M., et al. Molecular mechanisms of the inhibitory effects of bovine lactoferrin on lipopolysaccharide-mediated osteoclastogenesis. J Biol Chem2012;287(28):23527-36. Ying, X., Cheng, S., Wang, W., et al. Effect of lactoferrin on osteogenic differentiation of human adipose stem cells. Int Orthop2012;36(3):647-53. Amini AA, Nair LS. Lactoferrin: a biologically active molecule for bone regeneration. Curr Med Chem. 2011;18(8):1220–9. Li, W., Zhu, S., and Hu. J., Bone regeneration is promoted by orally administered bovine lactoferrin in a rabbit tibial distraction osteogenesis model. Clin Orthop Relat Res2015; 473(7):2383-93. Zhang, W., Guo, H., Jing, H., et al. Lactoferrin stimulates osteoblast differentiation through PKA and p38 pathways independent of lactoferrin’s receptor LRP1. J Bone Miner Res2014;29(5):1232-43.